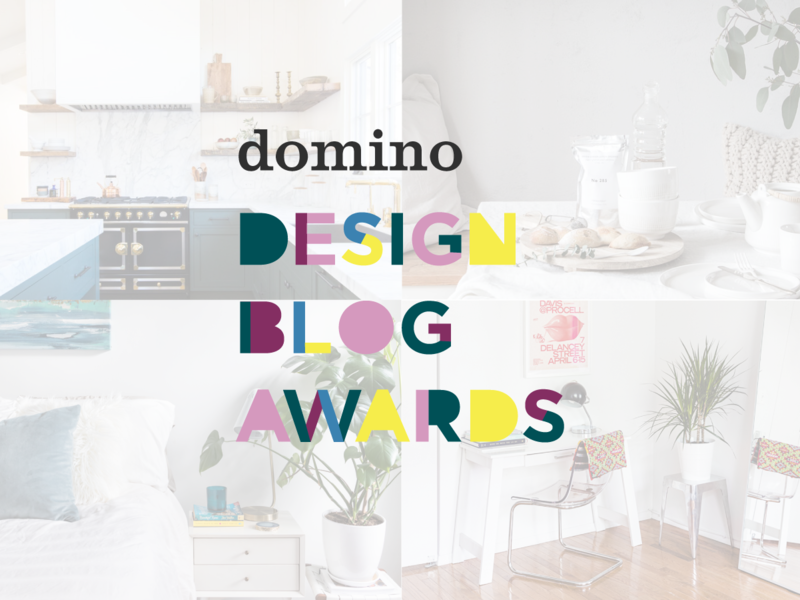 Vote Now for Your Favorite Design Blogs! From tiny home dwellers in California to DIYers in England, check out the 2018 Design Blog Awards finalists. We asked you to tell us who your favorite design bloggers are, and boy, did you answer. For the second annual Design Blog Awards, we received nearly 200 nominations from around the world—the wealth of diverse, passionate, and creative individuals out there creating fun, beautiful designs are truly astounding. After careful deliberation, Domino editors selected finalists in eight categories, and I am thrilled to reveal this outstanding list of inspiring minds. From a couple raising their daughter in a tiny home to a veteran blogger who’s been creating for more than a decade to a self-taught carpenter taking her craft to the next level, our finalists showcase everything that Domino holds dear: good style and meaningful design, delivered in a positive, accessible way. Now, it’s once again up to you: The winners will be determined by popular vote. From now through Sunday, September 23, you can vote for your favorites once a day. After the people have spoken, the 2018 class will be celebrated at a party this fall at Hotel Zachary in Chicago, courtesy of the sponsor of the award, Tribute Portfolio Hotels, and each winner will receive a feature profile on Domino. To make DIY into an art form is no small feat, but these bloggers are here to prove it can be done. Carrie Waller taps into her artist background on Dream Green DIY; Ursula Carmona shares stylish, yet affordable, ideas on Home Made by Carmona from her home in North Carolina; and Amy Weir of Delineate Your Dwelling creates graphic, colorful projects in New Mexico. For more than a decade, Brittni Mehlhoff has been documenting her DIYs on Paper and Stitch, while self-taught carpenter Jen Woodhouse offers in-depth tutorials on The House of Wood. Lifestyle blogging has become a full-fledged industry over the last decade, and most of our finalists speak to the medium’s staying power: Cassandra LaValle began Coco Kelley in 2007, Erin Hiemstra launched Apartment 34 from her first condo in 2008, and Will Taylor founded Bright Bazaar in 2009. Brooklyn-based LaTonya Staubs has taken her blog LaTonya Yvette has from a style-focused outlet to a growing business, with her first book publishing next year. Sara Toufali is more of a newcomer on the scene, but she has carved out a plant-filled niche for herself with her unique style and voice on Black and Blooms. We received nominations for blogs as far away as Hong Kong and Australia, but our international finalists showcase the best of European design. My Paradissi brings you to the Greek island of Crete and beyond, while My French Country Home by Sharon Santoni showcases authentic French living in Normandy and Marij Hessel gives us a taste of vintage-inspired Dutch design on My Attic. Over in the United Kingdom, Kimberly Duran has been sharing DIYs and creative ideas on Swoon Worthy for nearly a decade, and Reena Simon of Hygge for Home in Cardiff has perfected the art of creating cozy spaces. Running an interior design business while also maintaining a blog is not easy, but these five designers sure make it look like a breeze. We have Niki McNeill of Single Bubble Pop in Raleigh, North Carolina; Kirsten Grove of Simply Grove in Boise, Idaho; Sarah Sherman Samuel in Los Angeles; Paloma Contreras of La Dolce Vita in Houston; and husband-and-wife team Shea and Syd McGee of Studio McGee in Salt Lake City. Domino editors collaborated with the sponsor of the award, Tribute Portfolio Hotels, to select five bloggers whose spirit best reflects the Tribute Portfolio guest: colorful and with a sense of character all their own. These mavericks relish in discovering and sharing new experiences that expand the imagination and foster a sense of community. The finalists are Dabito of the always colorful Old Brand New, based in New Orleans and Los Angeles; Gen and Benji Sohr of the creative development company Pencil & Paper Co. out of Nashville; Madison Wetter of Space and Habit, which brings together Southwestern and mid-century modern design in Cave Creek, Arizona; Los Angeles-based interior designer Dee Murphy, who chronicles her work on Murphy Deesign; and Kim and Scott of Yellow Brick Home, a Chicago-based blog where you’ll find them renovating their almost-130-year-old home. In addition to voting below, cast your vote for the Modern Maverick on Instagram for a chance to win a trip to Chicago to join us at the Design Blog Awards party on October 23. To enter, follow both @tributeportfolio and @dominomag on Instagram and vote for your favorite by posting a comment on this Instagram post notating the Modern Maverick you would like to vote for. No purchase necessary. Must be 21+ to enter. See the full sweepstakes terms and conditions here. It takes time and energy to get a blog off the ground, so after reviewing the nominations, we expanded our timeframe for Best New Voice to two years. Kelsey Jones, a Texas-based engineer and designer, started Left and Level to document the renovation of her fixer-upper, and it has since morphed into a lifestyle blog. Emily Blanchard of Emily Everyday, in Rhode Island, took the leap into blogging to create a safe place to share her life through design, while Arianna Danielson uses her eponymous site to share ideas from her bold boho home. Bev Wilson launched Room Sauce from her Brooklyn apartment in late to share her love of design, and Jude Green, an England native now living in Jacksonville, Florida, started publishing That Homebird Life after she and her husband bought their first home last year. Across the country, homeowners are channeling their inner Joanna Gaines and remaking homes from top to bottom. Follow Jessica Quirk as she fixes up her Indiana farmhouse on Stars and Field, or join David and Stephen St. Russell of Place St. Russell as they renovate a Victorian home in Dorchester, Massachusetts. Transparency is the name of the game for South Florida-based interior designer Nicole White, who posts detailed before and afters on Live Laugh Decorate that discuss everything from budget to finishes. House of Brinson chronicles the makeover of an old home in New York’s Hudson Valley, while Young House Love is the Richmond, Virginia-based blog of husband-and-wife team John and Sherry Petersik, who have renovated three homes and counting. Less is more, especially for the small space mavens whose work, and lifestyles, show that less square footage doesn’t mean you have to sacrifice good design. On Hej Doll, Jessica Doll offers her perspective on downsizing and living a simple life with less, while Melanie Gnau of A Small Life mastered micro living after calling an Airstream trailer home for four years. Tiny Migrations offers practical advice for tiny home dwellers, along with a healthy dose of style inspiration. Joanna Hawley made a name for herself, and her blog Jojotastic, by documenting her tiny cottage bungalow, and designer Katrina Blair shares small space ideas from her home in Sacramento.